This post has already been read 1621 times! KEARNEY – Her eyes fill with tears when she talks about the sacrifices he made for their family. Cecilia Perales-Garcia was just 3 years old when her father, Constancio, moved his wife, Maria, and their three young children from Durango, Mexico, to Lexington, Nebraska. He wanted a better life for his family, a job that would support them financially and an opportunity for his kids that wasn’t available in his home country. Constancio, who never finished elementary school, didn’t want his children to follow in his footsteps. “He always made it very clear to us that if we didn’t go to school or we didn’t graduate from a university that our opportunities would be somewhat limited,” said Perales-Garcia, who watched her father return day after day from his job at a local meatpacking plant with a sore back and aching hands. She wasn’t going to let him down. Perales-Garcia calls it a passion. Back in Mexico, she was the little girl always carrying a backpack, notebook and pencil her dad sharpened by hand. In Lexington, she was part of a close-knit family with parents who would definitely have a say when the time came to choose a college. Maria wanted her daughter close to home, at a school where she could build strong relationships with professors and connect with people who saw her potential. The Lexington High School graduate formed an immediate bond with Michelle Warren, an assistant Spanish professor and chair of the University of Nebraska at Kearney’s Spanish education master’s program. 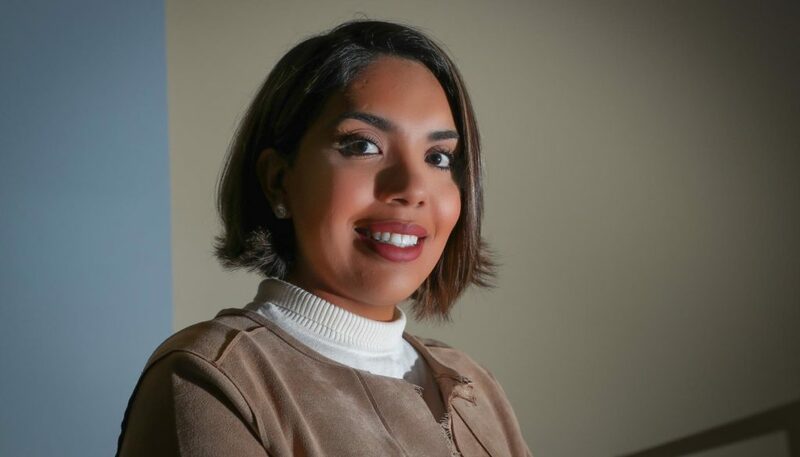 After Perales-Garcia earned a bachelor’s degree in Spanish education with an English as a second language endorsement, Warren encouraged her to pursue a master’s degree and apply for a graduate teaching assistant position in the department of modern languages. She currently teaches introduction to Spanish courses while finishing her master’s degree in Spanish education through UNK eCampus. Perales-Garcia also assists with campus visits for Spanish-speaking families and created a curriculum to introduce Spanish language and culture to young children through a 12-week program. 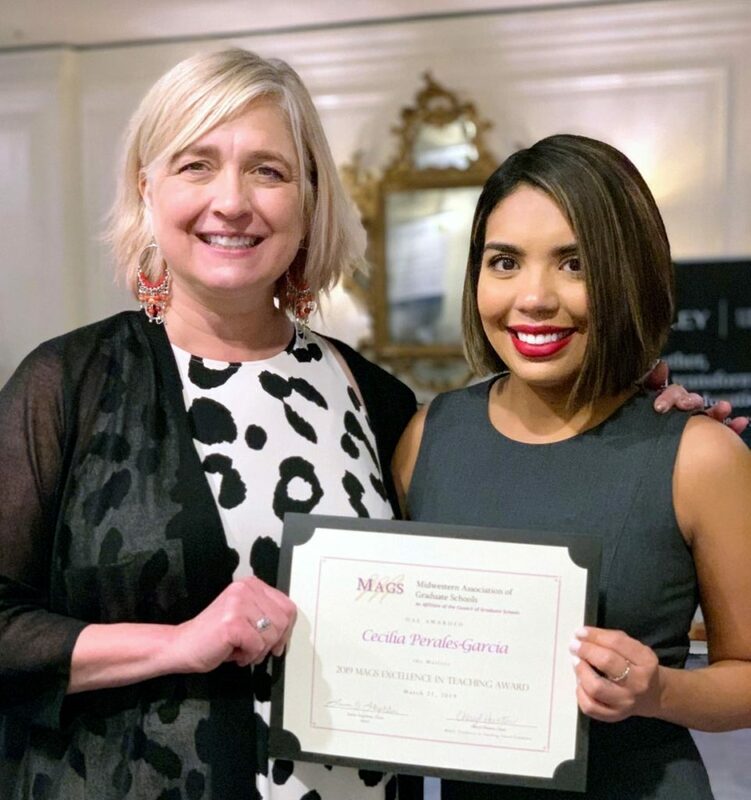 “Her passion for helping other first-generation students like herself excel in higher education, as well as introducing Spanish language and Latino culture to non-heritage learners, speaks volumes to her commitment to her chosen field,” Warren stated. The Midwestern Association of Graduate Schools (MAGS) agrees. The association, which includes more than 150 colleges and universities in 14 states, Big Ten, Big 12 and SEC schools among them, honored Perales-Garcia with its Excellence in Teaching Award. Presented Thursday (March 21) during the MAGS annual meeting at The Ritz-Carlton in St. Louis, the award is given to one doctoral student and one master’s student each year in recognition of their contributions to teaching and mentoring. Warren, who urged Perales-Garcia to apply for the award, called her an ambassador for UNK’s Spanish education master’s program and an inspiration for her peers. “I feel certain that she will be an amazing role model for young, first-generation immigrants and all students,” Warren wrote in her letter of recommendation. Perales-Garcia, who lives in Kearney with her husband Rodrigo Retana, will graduate in July from the online master’s program. The next month, she begins her new job as a Spanish teacher at Lexington Middle School, where her mother works as a cook. 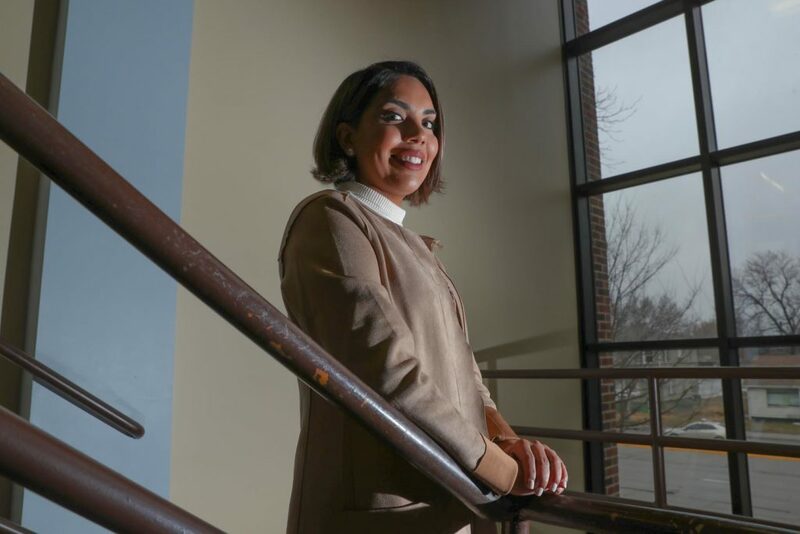 Perales-Garcia, who student taught at Gibbon High School and Bryant Elementary in Kearney, wants to impact future generations in the same way Constancio and Maria influenced her.